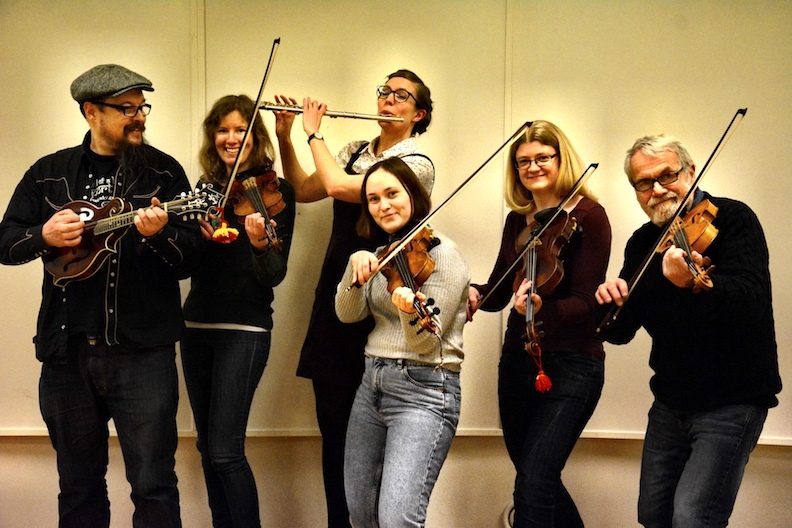 Lustspel (The Folk Music Association for Students of Lund, Sweden) is a group of 15-25 people, most of whom are university students sharing a passion for playing folk music. Lustspel was founded 13 years ago, with members joining and leaving at a steady pace as they start their studies at Lund University and then, a few years later, graduate and move on to new challenges and adventures. The approach to folk music, though, has remained the same over the years - we teach tunes to each other by ear, play mostly Swedish folk music, experiment with different arrangements, all in a jolly and relaxed atmosphere with a precious “fika-break” half way through every session. To recognize a member of Lustspel, look at their instrument - if a small red/yellow tassel is attached to it, you have found one! The tassel is a flirt with the tradition of the Swedish traditional costumes for men, that tie up their socks with ribbons with tassels (a “knätofs”, which some less informed people use as a derogatory term for Swedish folk music).